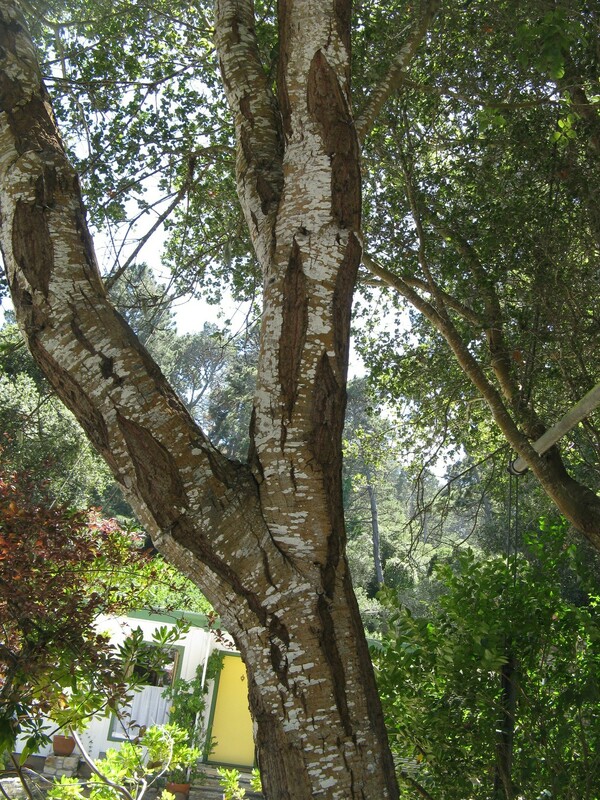 The trees started exhibiting grey/white patches on their bark, some patches as thick as paint. The bark was splitting on most trees, and appearing scabbed over and covered in fungi, lichen, and moss. Now these trees, from Portland, throughout Beaverton, Hillsboro, and Forest Grove are dying and falling to the ground at an alarming rate. ALL trees, that I have seen, are showing signs of disease or infestation, even the huge ancient ones. 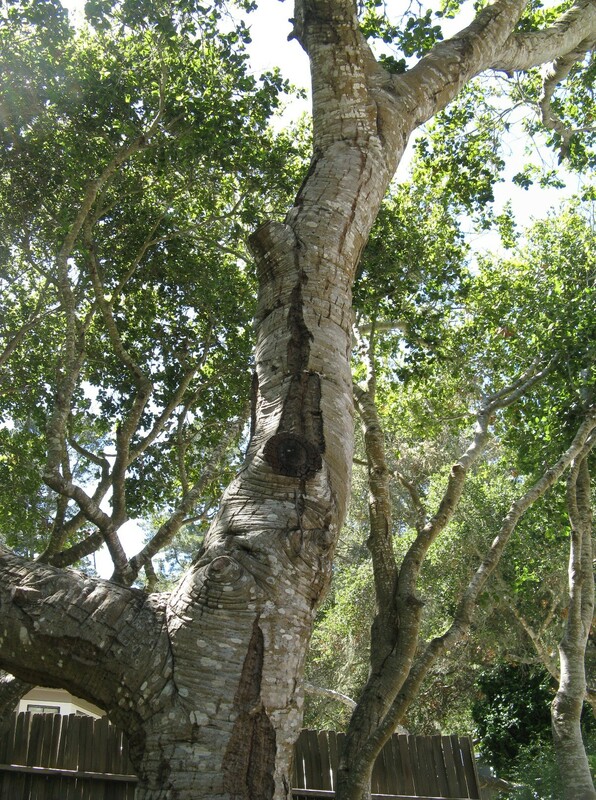 These pictures are of damage to oak and pine trees in Monterey, California, where there are wireless Smart Meters and their mesh network. Smart Meter deployment began in 2011. This damage is accelerating. Now there is also Comcast Xfinity Wi-Fi. There is severe harm to the oaks and pines. 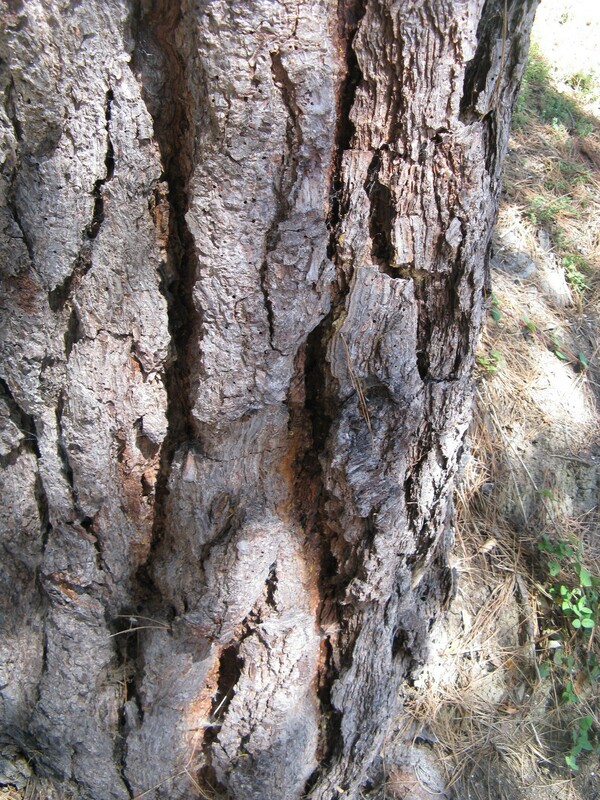 The pines have deep cracks, fissures, with red showing. 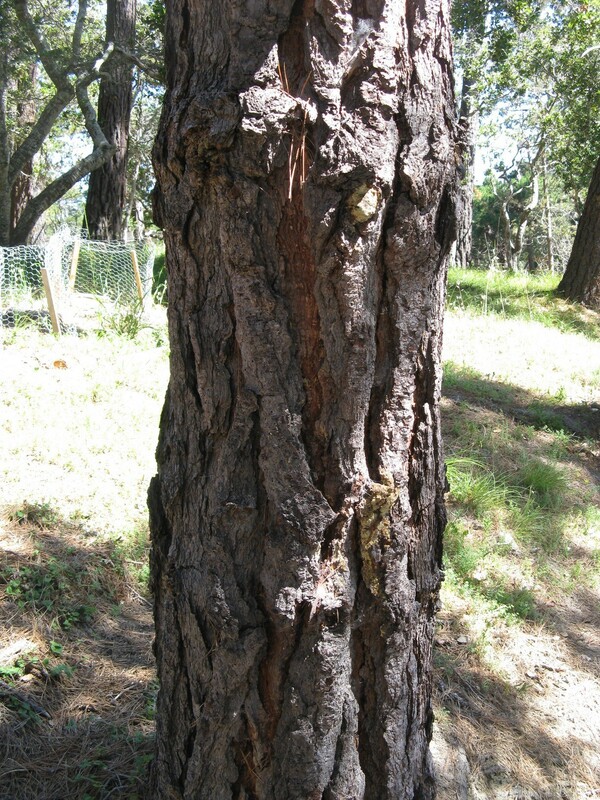 Some pine bark looks like it’s loose, merely sitting on the surface of the tree, ready to slough off. Some of the fissures are bleeding pitch. The oak fissures are getting deeper and broader. How soon before these trees are fatally split to the core? When tree damage in Netherlands started occurring paralleling wireless deployment, the Wageningen University did a 5-year study on aspens, exposing them to this radiation. They reported their findings in 2010. Their findings: that Wi-Fi radiation can alter growth patterns and cause bleeding and fissures in growing tree bark, and discoloration of leaves. 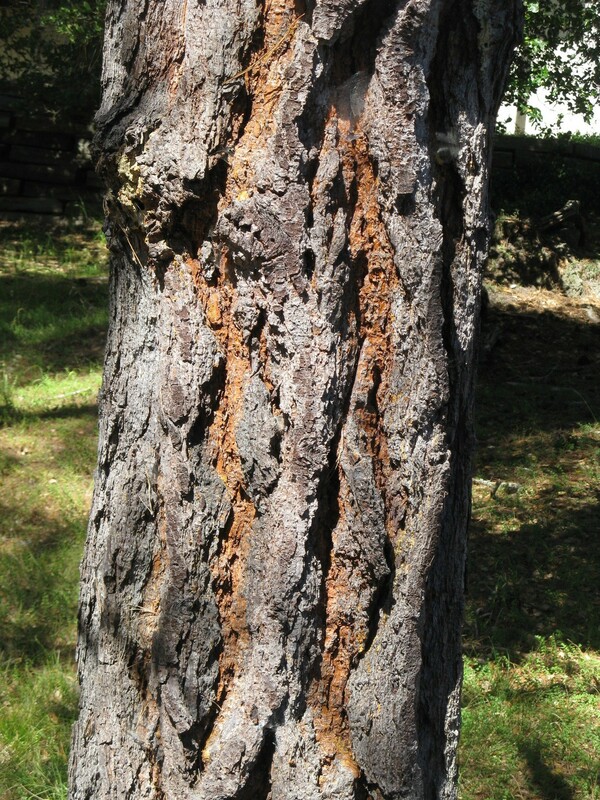 By the end of the study, at least 70% of urban trees in Netherlands were exhibiting these symptoms, whereas five years earlier, at the beginning of the study, 10% of trees were showing injury. Wireless radiation causes cellular and nitrosative stress, impacts the immune system, causes calcium ions to leave cell membranes, making them leak, interferes with cell membrane function, damages genes and DNA, causes cancers and tumors. Our present exposure to man-made microwaves is about a million billion billion (one followed by eighteen zeros) times greater than our natural exposure to these frequencies. The German report “Birds, Bees and Mankind: Destroying Nature by Electrosmog” detailed the research showing extensive impacts from artificial EMF and RF on birds, bees, and humans. “morphological changes like decrease in growth rate in terms of height, number of branches and leaves is seen in such plants. Their leaf size gets decreased, leaves become more brittle and they fell off early. “The biochemical tests indicated that after exposure there is a decrease in assimilatory pigments like chlorophylls and anthocyanins which shows decrease in photosynthetic rate in plants. At the same time, the carotenoid pigment content increased which resulted in the aging effect,” director of Junagadh-based Noble Group of Institutions Ved Vyas Dwivedi said. …”At the same time, carbohydrates like starch and cellulose which are the main constituents of leaf cell wall decrease upon long term exposure. Sugar and water content also got decreased,” said Dwivedi. …”Protein content of those plants which were exposed to radiation had fallen drastically compared to those plant which were grown naturally,” added Dwivedi. Wolfgang Volkrodt, now deceased, was a physicist and an electrical engineer at Siemens AG. 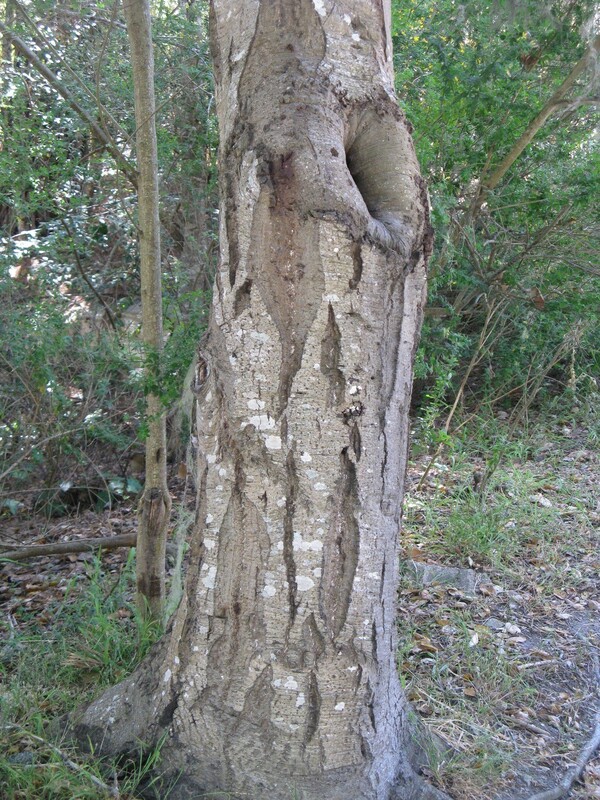 He conducted research into the harm to trees. He wrote numerous papers (1), some only available in German. “. . .There is also this important fact: any tree may act as a receiving dielectric rod or monopole antenna with the ability to both absorb energy from the wave passing by and to scatter the wave in many directions. If the polarization of the transmitting tower antenna matches the particular tree or trees (i.e. vertical orientation of the antenna which is usually the case for collinear dipole arrays on towers), maximum coupling or absorption of the wave energy by the tree will occur. Polarization and conduction currents will generally flow to the root system. Trees are fellow creatures – alive, intelligent and sentient — and elders. Completely ignoring that fact , they and phytoplankton also provide most of the world’s oxygen. Fukushima radiation is rapidly destroying the Pacific Ocean and its sea life. With wireless radiation killing trees, how long before oxygen becomes a scarce commodity? How long before we have to ration oxygen? The wireless mesh network and star system of Smart Meters are a powerful part of the problem. Then, Comcast is deploying its Xfinity and creating Wi-Fi hotspots everywhere. Wi-Max is being deployed, blanketing whole cities or areas. The U.S. and states like California are pushing broadband (generally wireless) throughout the country. Google wants to broadcast from the sky. That’s in addition to cell towers, radio and TV broadcasting antennas, and satellites. How long before human technology kills all life, directly or indirectly? How many research studies have to be done before people listen?